We are offering a vast Range of Gym Equipment that are known for their robust construction, high efficiency and long service life. These Equipment are fabricated from top quality materials and with the help of latest machinery and updated technology. These Equipment are at par with the international quality standards. 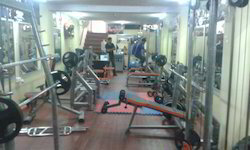 Our range includes of Single Stations, multi gyms,Free Weights,Hammer,Plate loaded Equipments,Functional Trainers,Weight Plates,Dumbbells and Rods. 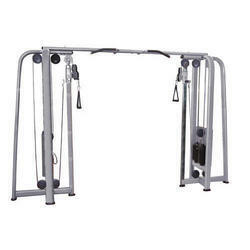 Our customers can avail 6 Station Multi Gym from us. 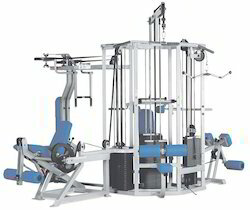 The offered range of 6 station multi gyms is made utilizing high grade raw material and innovative techniques in strict compliance with the international quality norms and standards. Along with this, the offered range of 6 station multi gyms is known for its high performance, excellent finish and durability. Triceps Extension comes with rotating as well as pivoting handles that help variances in starting position that in turn results in natural arcing motion. Its angled back pad as well as fixed seat position also helps in providing better stability while placing user in proper exercise positions. 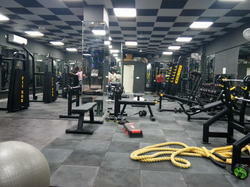 We are widely known in the industry for manufacturing of Gym Equipment. These are manufactured from top quality materials in accordance with latest industry standards. These are known for their high efficiency, robust construction and low maintenance. We offer these equipments at market leading prices. We are known as a one of the leading manufacturers and suppliers of a very highly premium quality range of Cable Cross over. 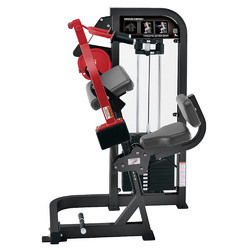 It is generally used in Gyms having large area and contains machines for almost all body parts. These products have adjustable weight that provides comfort to our clients. 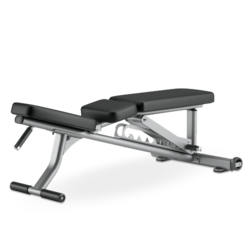 We deals in Gym Adjustable Chest Bench. It opens up a lot of opportunities for fitness.